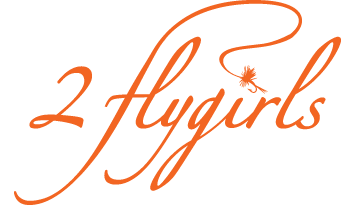 2 flygirls: Flygirl Mission Accomplished! 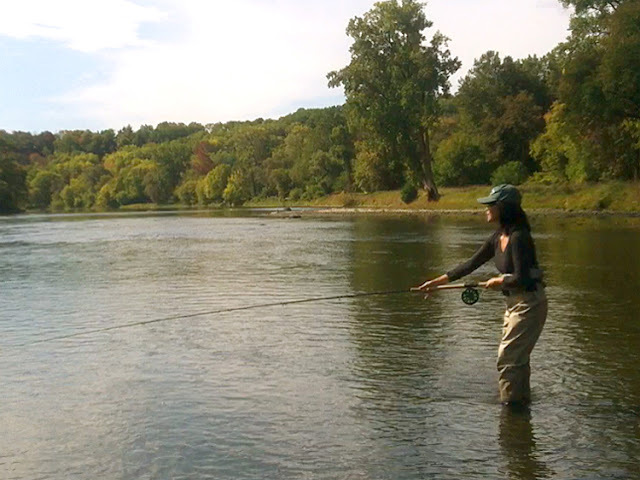 Flygirl taking a rod for a spin at the Grand River Spey clave, Paris, Ontario. H: October 10, 2012: Can't believe it's been well over a week since I returned from Paris and the Grand River Spey clave. I guess working 13-hour days plus the weekend distorts one's sense of time and place... Even Craig beat me to a post ;). Well, I'm happy to report, flygirl mission accomplished! I found my "One"— it's the new 13-foot, 7/8 weight G. Loomis NRX two hander. Damn! Did it have to be one of the most expensive spey rods made in the USA? Why couldn't I have fallen for the Echo 3 which is a fine rod (and $600 less!)? So, is the NRX 1567/8-4 two hander twice the rod of its brethen? Earlier this spring, I cast numerous singlehand rods before my first bonefish trip and concluded that the middle tier rods were the way to go. The price you pay for the top end models just didn't seem worth it to me. Sure, they're generally lighter, their components higher quality and possibly more durable. But you're also paying for fancy faux burl inlay in the reel seat or other such nonsense. Don't get me wrong, I appreciate a good looking rod as much as the next flygirl ;). But to me, a fly rod is first and foremost a tool, a means to an end—catching fish—and a good caster can pick up any decent stick and work some magic. Then why in heaven's name am I about to spend $1,130 on a fishing pole? For some inexplicable reason, my first spey rod is an emotional purchase. Flygirl logic is thrown out the window! I think it's because the perfect combination of rod, line, and caster in the two-hand world is equivalent to all the planets in the universe aligning ;). There's a mystique about it... It's an event to be celebrated! 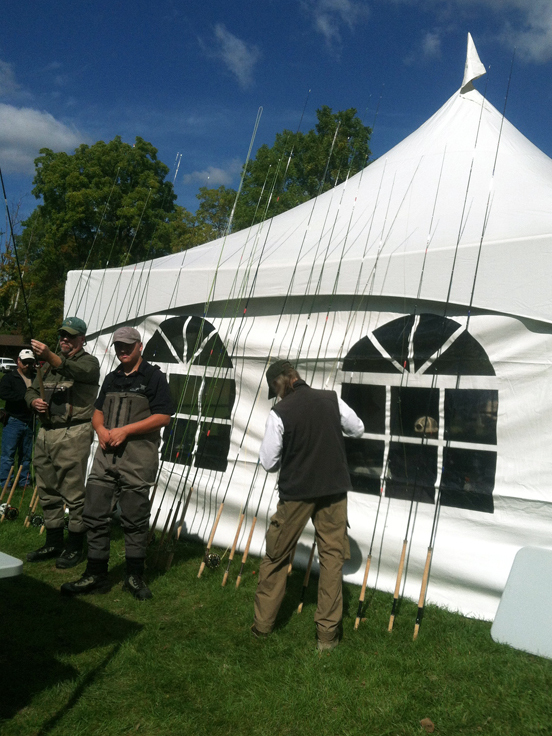 Afterwards, I rushed to find my pal, easterncaster, and tell him the good news—I had found MY perfect spey ROD! I was curious what he would think of it. He cast it the following day. His reaction was that it was one of the best rods he has ever cast. I guess it's not just my perfect rod. A perfectly curvaceous D-loop courtesy of the easterncaster on the River Grand. 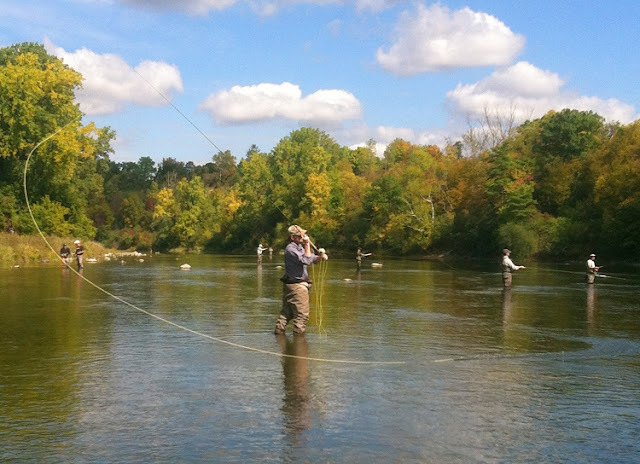 As for the rest of the Grand River Spey Clave—It was fun! The weather was fine and the setting was gorgeous. Water levels were low which was great for taking rods out for a spin but not so great for the fishing. I cast about 7–8 different spey rods and easterncaster shot some video of me which has been tremendously useful (Thanks, Craig!). I've noticed a few things about my spey casting: 1) my forward cast has greatly improved but I still need to stop the rod higher; 2) I do a great statue of liberty imitation, particularly in my single spey and switch casts. There is no reason for me to raise the torch rod so high! ; 3) My parents did an excellent job ingraining proper lady-like manners in me. I consistently extend the pinky finger on my top hand while holding the rod and line. Very lady-like form. Note the properly extended pinky ;). Who needs a fly rod? Not Tim Rajeff. 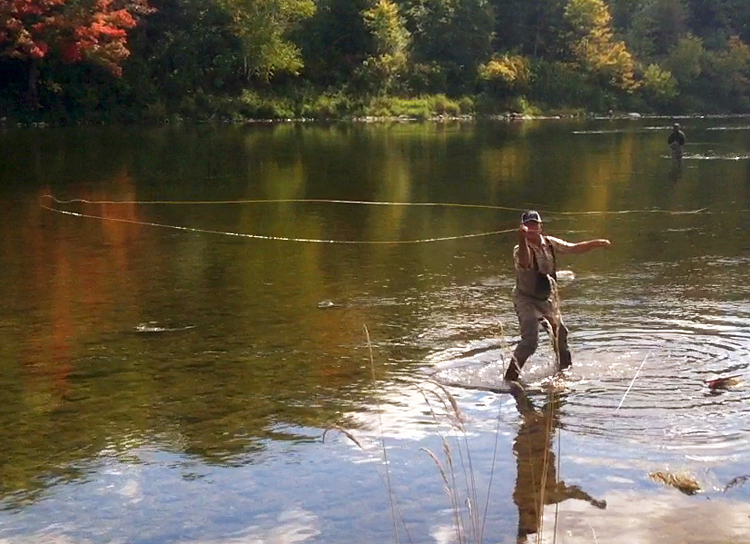 Tim casting a fly line with his bare hands. Nice loop! 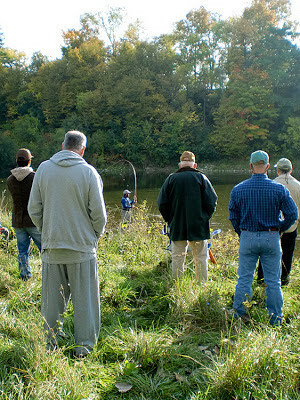 Scandinavian style of spey casting. Another highlight was meeting Bill Drury and casting one of his prototype switch lines (31 grams) which paired perfectly with the Sage One 11'6", 7-weight switch rod. Very sweet! Craig was casting with Bill. He waved me over and introduced us. The only possible improvement in the overall experience would have been him wearing a kilt instead of the standard boring beige waders ;). I had joked with the easterncaster after borrowing his DVD, The Art of Spey Casting, that the best part was watching the 2 hunky Scotsmen spey cast in kilts. Now, I'm a bit mortified that Craig actually mentioned my appreciation of the Scottish kilt wearing tradition to Bill. Mr. Drury is a lovely man and I have a new found admiration for his lines. His supple switch line flew through the One's guides like silk and having the line's load indicator as a visual and tactile marker inside the rod's guides by the caster's hands is ingenious. I plan on purchasing a version for my 8-weight switch rod when they're available. Get your Sage Ones here! Craig and I fished the Grand river after the clave. He managed to interview a few small mouth bass. Unfortunately, the only excitement I had on the Grand was losing my Rio Scandi Short VersiTip line. My fly and sinking tip got snagged in some fast water. I made numerous attempts to free it without success, so I decided to break my fly off. I must have tied some exceptionally good knots because rather than losing my fly, I lost my entire line! The break off occurred on my shooting line. I guess there must have been a nick somewhere along its length. I watched disbelievingly as 60 feet of fly line disappeared into the Grand. It was in the middle of the river, hip to thigh high depth for me, and the current was fast. Somewhat in shock, I walked dejectedly back downstream towards the easterncaster. Craig noticed I had broken down my switch rod and asked if I was done fishing. I told him about my line. He stopped fishing and walked back upstream with me to see if we could find it. I led him to the spot. He just walked right into the middle of the river and found my line. Actually he almost tripped over it :). Apparently it was snagged on a chunk of metal debris. I guess being 8 inches taller and 80 pounds heavier has it's advantages. Thank you, easterncaster, for rescuing my line! The following day Craig and I stopped to fish the Niagara River on our way back. We had stopped there briefly on our drive up to Paris but had less than 2 hours to fish. This time, we had a good 5. 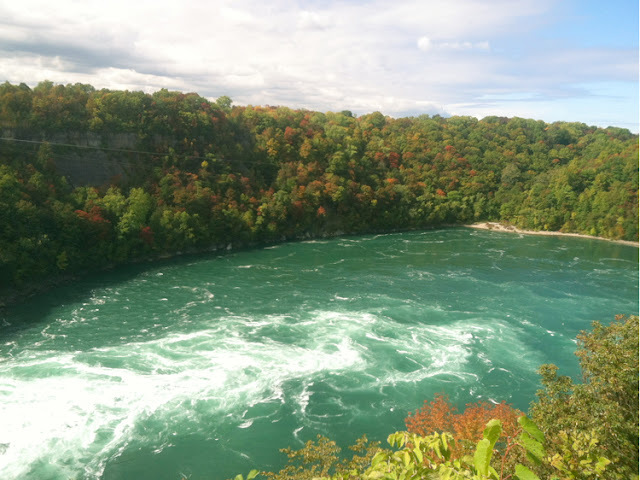 We decided to fish our way down from Whirlpool park to Devil's Hole. 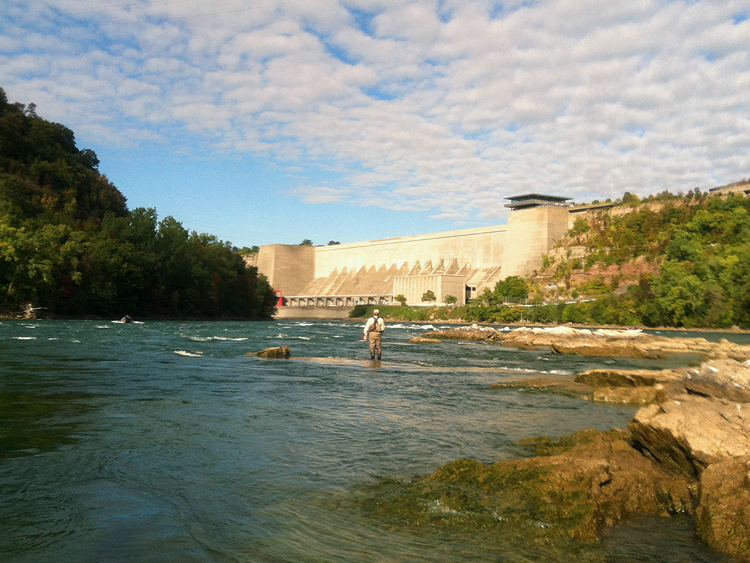 The lower Niagara, in terms of volume, makes the Deschutes feel like a spring creek ;). It's seriously BIG water and absolutely breathtaking. It's a hike down and back up (they say 300 steps) but it's good exercise and helps keep the heavy beer drinking crowd away. I can't remember the last time I did so much scrambling? Perhaps when I was 12? I felt like a mountain goat! It was difficult fishing. 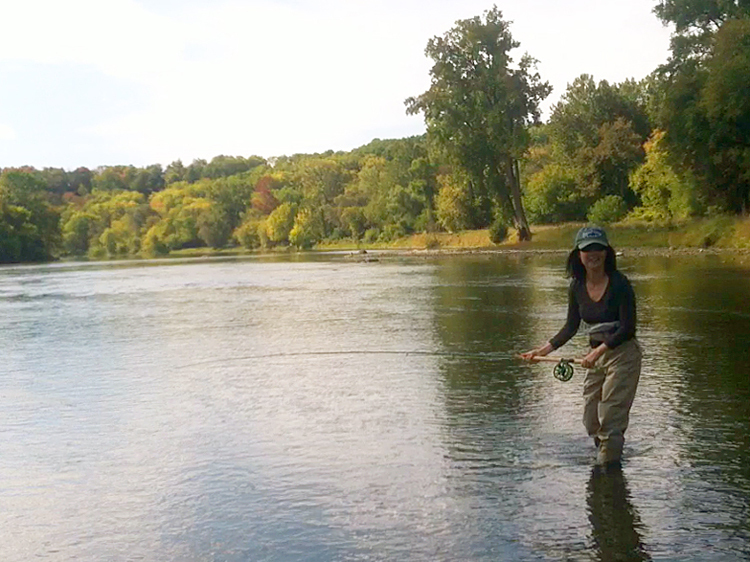 You couldn't get into any sort of rhythm as there were so few spots to fish from and small stretches of good water. At most spots only a roll cast was possible and the strong currents and eddies went every which way, forwards, backwards, circular clockwise, counterclockwise. Only at Devil's hole could you actually wade a bit into the water. At Whirlpool, take 1 wrong step forward and you're swimming in class 5+ rapids on the ride of your life! I managed to spook one dark shadowy chinook just off shore. It was literally about 1 foot away from the bank in skinny water. Craig spotted a few fish, one wearing bright red spawning colors. But neither of us had any luck. A contemplative eastercaster at Devil's Hole. It was disppointing not catching anything but not surprising given it was a scouting trip. I don't think our lines were sinking fast enough. We really could have used a nice skagit outfit. We were both using floating lines with a T6 sink tip or fast sinking polyleader and we were both swinging flies. I was swinging a gorgeous bright blue and copper prom dress fly and the easterncaster, a white and tan baitfish pattern he had tied. Towards the end of the afternoon, I joked with Craig that if we really wanted to catch a salmon we needed to bring out the egg patterns and load up on split shot. Don't get me wrong, there's absolutely nothing wrong with that. It just wasn't how we wanted to fish. I don't even know how to fish that way. 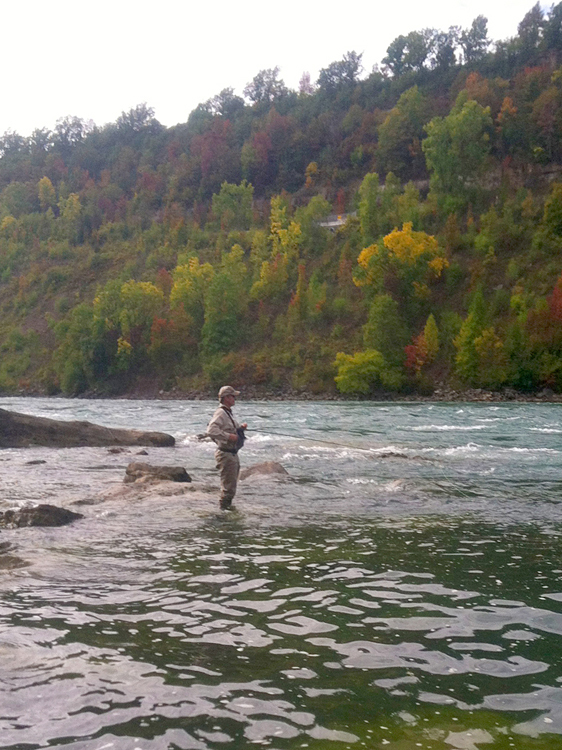 I guess I'll learn in about a month's time when I go winter steelhead fishing up in Pulaski on the Salmon river.